This isn’t a news blog – Vagrant Rant exists primarily as an outlet for my own opinions on entertainment media, as well as my compulsive need to order things into top ten lists. But today, I’m making an exception, because something pretty cool happened on the iOS App Store today and not nearly enough people will be aware of it. 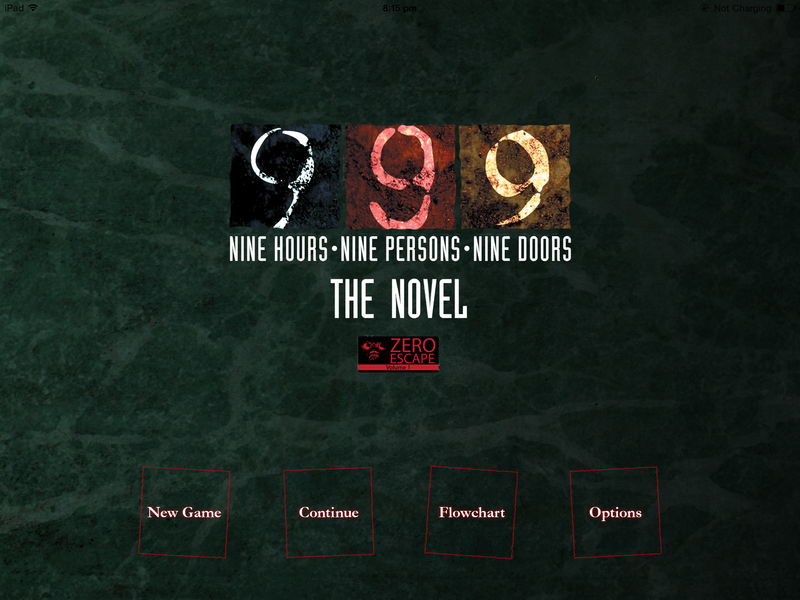 Former Nintendo DS game Zero Escape: Nine Hours, Nine Persons, Nine Doors, known to its fans as simply 999, was released on the App Store today in “novel” form (a.k.a. with all the puzzles taken out), carrying the Australian price tag of $5.49. The critically acclaimed original version of the game was never released in Australia and only ever printed in limited numbers in the US, but has amassed a pretty vocal following worldwide since its 2010 release. 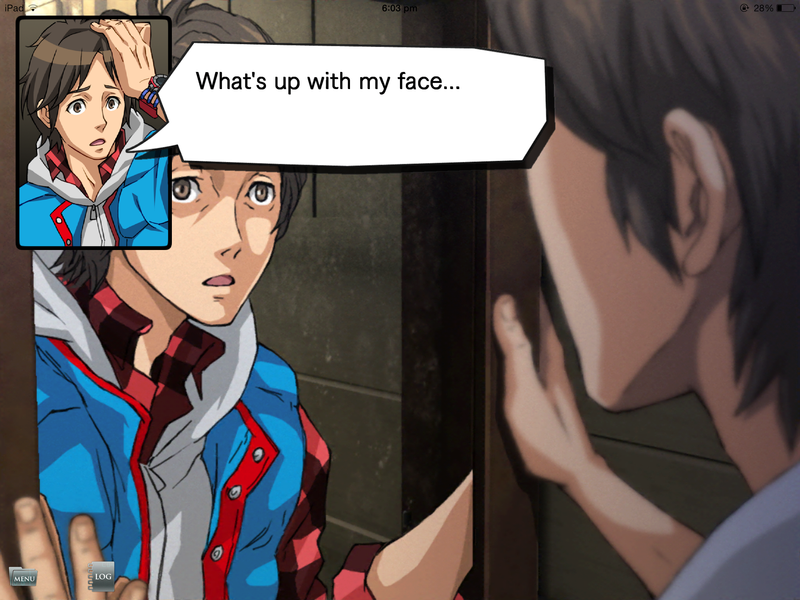 It’s the prequel to Zero Escape: Virtue’s Last Reward, a deviously clever 3DS/PS Vita game that I reviewed on this blog in the middle of last year (I’ve gone back and upgraded that review to reflect this new release). Without any of its former puzzles the experience takes on a kind of choose-your own-adventure novel structure, with the added bonus of slightly animated visuals (now in HD! ), comic book style dialogue and a brand new “flowchart” feature that allows you to rewind the story at a moment’s notice to retry any of the game’s major choices. Being a Japanese game that wasn’t expected to make a big splash in the West, things do get weird throughout the narrative, which can best be described as a thriller/sci-fi mash-up with some heavy themes and a few lashings of oddball comedy. I won’t say anything more about the story, but suffice to say it’s a twisty tale that sticks with you and I highly recommend it. Unfortunately, there is no Android version of the novel at the moment, which makes me sad. Hopefully there will be one soon. So by all means, get out your iPhone/iPod Touch/iPad and happy reading!